1. 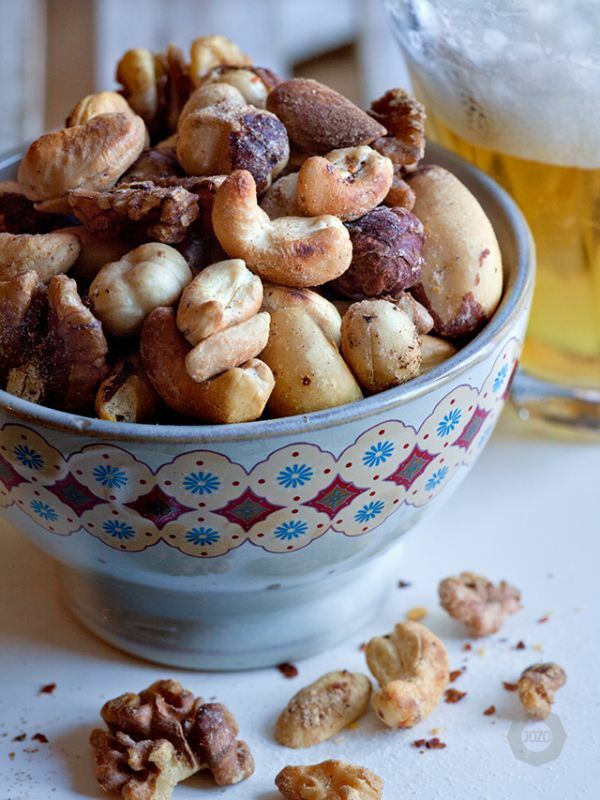 Roast the nuts in a frying pan with the salt and chilli flakes on medium heat until the nuts are slightly colored. 2. Pour the water on and stir with a wooden spatula until the liquid is boiled in the nuts. 3. Continue roasting until the nuts feel dry, Let them cool down and then pour them on a cutting board. 4. Let them dry a little more before pouring them on a bowl and serve with a drink or other snacks.